Summer chairlift rides are a great way to see breathtaking views and gain access to a variety of hiking and mountain biking trails. For the more adventurous, take a zipline tour for a unique and thrilling adventure through the tree tops. 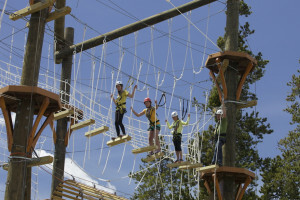 Located in West Yellowstone, our aerial adventure park is a great way to spend a half-day with excitement and fun. Offering discount coupons for 2-hour & return guest trips. 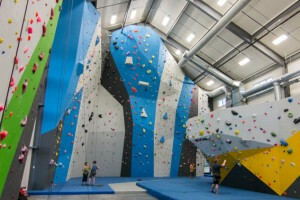 If you love the adrenaline of ziplines, you'll love our 50' indoor climbing walls, perfect to learn as a novice, or hone your expert skills. Just walk-in, no appts needed. Where can I enjoy Zipline Tours? Fly above the tree tops or through a thick forest canopy while your feet dangle below you. A great activity for families or groups of friends, you’ll never experience anything quite like zip lining. 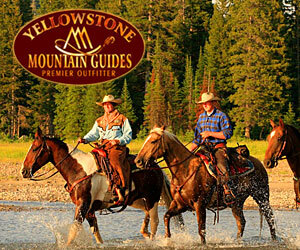 There are two nearby outfitters, one based along the Gallatin River Canyon, and the other at the resort. 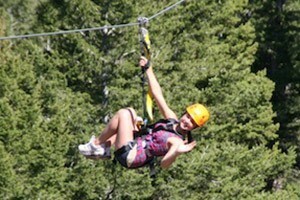 Offers up to six unique zip lines tours, through the trees and over the Gallatin River. Right at the base of Big Sky Resort, you can take your pick of 3 different zips … even during the winter season! 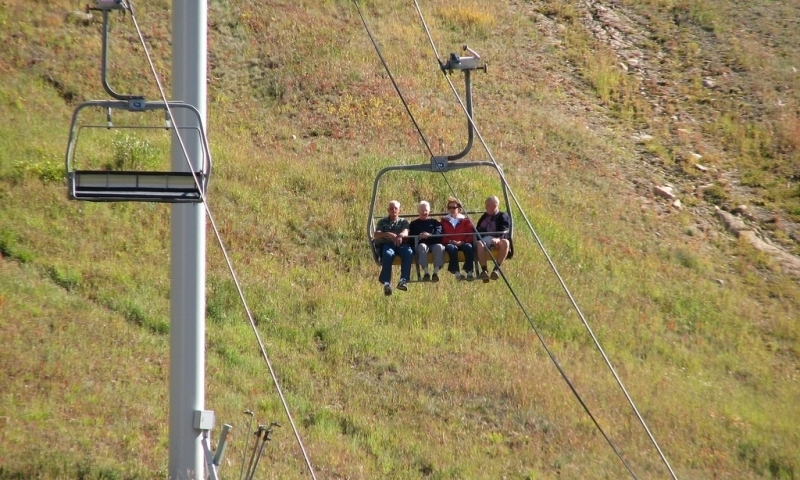 Where can I enjoy a Scenic Chairlift Ride? The Big Sky Scenic Lift begins in Big Sky's Mountain Village. The ride begins at an elevation of 7,500 feet and rises to 8,800 feet at the top of Andesite Mountain. Enjoy a nice hiking trail loop at the top and ride the lift back down. Or hike all the way back down. Open June through October 11 (9 am - 4:45 pm).